Photo taken by: Engr. Elbert M. Malonzo... thanks my friend! P.S. Today I am serving a classic Khmer dish at FoodTrips. it looks scary..my entries are about giveaways. I am launching another giveaway here in sweet..pretty..naughty and I am giving away a Magnetic Dress Up Bear. Go here to join the giveaway! They always look so annoyed and... crabby. Cool shot! 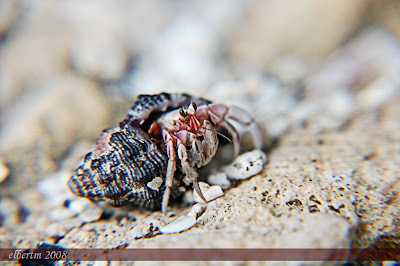 I love hermit crabs! Great close-up shot. I'm still alive and I'm back!